Amidst ongoing diplomatic war with India, Pakistan received dead bodies of five of its soldiers from Afghanistan and two of its civilians’ from Iranian security guards on Monday. Iranians have also handed over five Pakistani citizens arrested for allegedly trying to cross the international border without documents. According to Dawn report from Parachinar, Afghan officials handed over the bodies of five “martyred” personnel of the Frontier Corps (FC) as well as an injured soldier to the elders of Khurram Agency on Monday. Talks are continuing between the two sides to deescalate the tension along the border, says the report. Parachinar is the capital of Khurram Agency and the largest city in the Federally Administered Tribal Areas (FATA). It is situated on a neck of Pakistani territory south of Peshawar that juts into Paktia province of Afghanistan. It is the closest point in Pakistan to Kabul and borders on the Tora Bora region of Afghanistan, the erstwhile shelter of Al-Qaeda founder Osama Bin laden. Dawn has also claimed that 10 attackers from the Afghan side were also killed in clashes that erupted in the area after the FC men erecting fence along the border at Laka Tiga post in Lower Khurram Agency came under fire. Meanwhile Kabul based TOLO News contradicts Pakistani version of the developments. 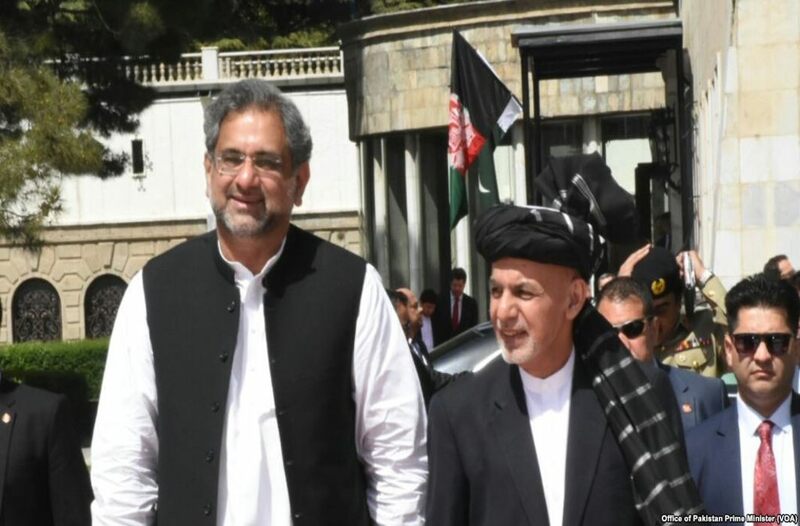 It reports that Afghan security officials have “warned Pakistan against carrying out any further action along the Durand Line” and said additional hostile moves would have “serious repercussions”. The Afghan media outlet further said that speaking at a joint press conference with Pakistani military officials in Dand-e-Ptan district, in Paktia on Monday, the Afghan officials said that their people will not tolerate hostile action by Pakistan’s military. The Afghan officials said that residents in Dand-e-Ptan district have reportedly taken up arms to defend their areas against Pakistan, if necessary. Afghan security forces and residents in the area are on high alert and will retaliate if attacked by Pakistan again, officials said. This comes after delegations from both sides met on Monday to discuss the recent incidents – Sunday’s attack by Pakistan in Khost province, and Monday’s clashes in Paktia province. Meanwhile, another Dawn report say that two Pakistani nationals were killed and five others were arrested when Iran’s border security forces acted against a group of people allegedly trying to enter into Iran illegally. Jamil Ahmed, Gawadar Assistant Commissioner said that the bodies and arrested people were handed over to Pakistan’s Federal Investigation Agency (FIA) where a case will be registered against them under the Passport act. The deceased are identified as Shahzeb Khan and Mohammad Sadiq of Bannu district in Khyber Pakhtunkhwa. A hard-line separatist Sunni group called Jundullah, also known as People’s Resistance Movement of Iran (PRMI) is based in Sistan and Baluchistan, a southeastern region of Iran. The group founded by Abdolmalek Rigi, who was captured and executed in Iran in 2010, claims to be fighting for “equal rights of Sunnis”. Iran alleges that Pakistani hard-line Sunnis, who were being supported and funded by CIA and Saudi Arabia have been supporting their Iranian counterparts.